A First United Methodist Church Christmas tradition returns Sunday, December 9, at 7 p.m., when Handel’s Messiah will be performed in the church’s ornately decorated sanctuary. First United Methodist Church is teaming with The Van Wert County Foundation to help present this beloved oratorio depicting the story of Jesus’ birth through dramatic music. Since 1992, it has been a biennial tradition to combine professional soloists with chamber orchestra with a community chorus. Other Messiah performances at First United Methodist Church pre-date World War II. This year’s performance features three soloists from the state of Tennessee and one from eastern Ohio. Three of the four have never sung at First United Methodist Church before and are looking forward to sharing with the community. Soprano Jennifer Barnett Harrell is originally from Greeneville, Tennessee, attended Emory & Henry College in Virginia, and received her master’s degree in voice from Indiana University. She is currently employed by the Knoxville Symphony Orchestra and serves as co-chair of the Leadership Committee for Education and Community Engagement for the League of American Orchestras. 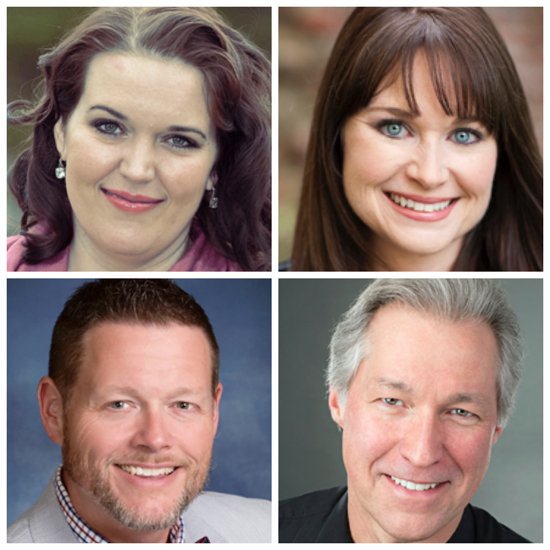 Mezzo-soprano Sara Snider Schone lives in Chattanooga, Tennessee, and is a graduate of Southern Adventist University and is an avid performer and recitalist throughout the Southeast. She recently performed with the Chattanooga Symphony and the Chattanooga Bach Choir as soloist. Tenor the Rev. Daniel Doty is currently pastor at The Bath Church, United Church of Christ in Akron. Rev. Doty was tenor soloist two years ago for the Van Wert Messiah performance. A graduate of Bowling Green State University, Doty is a soloist throughout the region and just recently soloed with the Akron Symphony Orchestra. Bass Perry Ward is assistant professor and director of opera and applied voice at the University of Tennessee at Chattanooga. He is a graduate of the University of Tennessee and has studied voice and opera at the St. Louis Conservatory of Music and Temple University and has a master’s of vocal performance from the New England Conservatory of Music. The Van Wert performance will be with a professional chamber orchestra consisting of musicians from throughout Ohio and Michigan. Paul Hoverman, First United Methodist Chancel Choir director, will be conducting and joining a chorus of 60 volunteer singers from throughout the region. They have been rehearsing since the beginning of November. The performance is underwritten with a grant from The Van Wert County Foundation’s Saltzgaber Music Fund. Doors to the sanctuary will open to the public at 6 p.m. Sunday. There is no admission fee, but a free-will offering will be accepted.